Are you a young Nigerian? 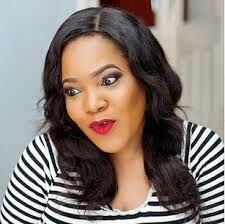 Are tired of the current situation in Nigeria? Will you like to contribute to the conversation about New Nigeria? Do you agree the future of Nigeria is in the hands of young Nigerians? Do you consider yourself a change maker and have something innovative to share about Nigeria’s future? Here is unique opportunity to share your thoughts and contribute to the conversation about the Nigeria we desire. You will agree with me that there is no better time than now to engage in real conversation about the future of Nigeria and most importantly the role of young people in delivering that future. Clearly, it is no longer news that our current leaders and older generation has failed us and we cannot afford to fail the coming generations, hence the need to be part of the change process. 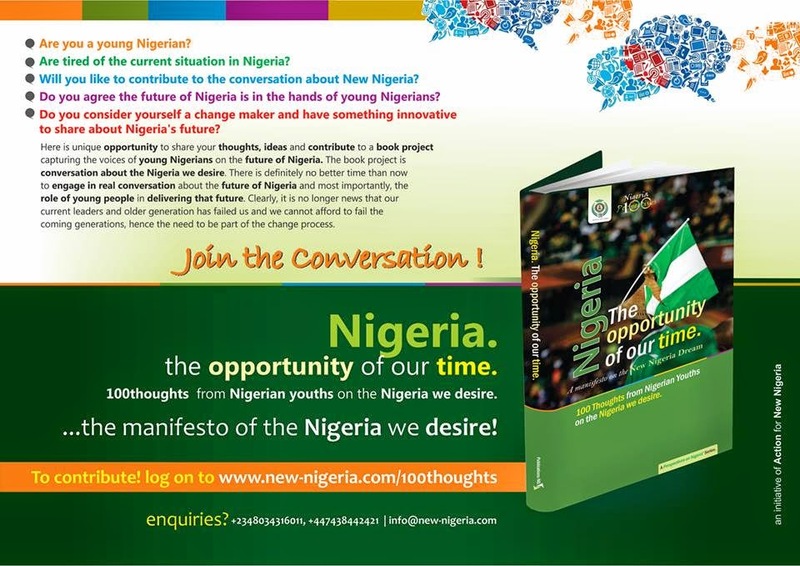 As part of our efforts to promote new Nigeria and get young people to be part of the solution to Nigeria’s many challenges, Action for New Nigeria is working on a book titled “Nigeria: the opportunity of our time’ the book will profile 100 carefully selected thoughts, ideas, opinions, essays and articles of young Nigerians on the future of Nigeria, it will be presented as the manifesto of the Nigeria we desire. The book will be widely circulated among young people at home and in the diaspora, key institutions and decision makers. Please go to the project website to access more information, lend your voice and let’s build the Nigeria of our dreams. The book will be widely circulated and promoted in a national and international launch tour in Abuja, Lagos, London and New York in late 2014. Submission of entries is now open and all change-makers, opinion leaders, bloggers and lovers of Nigeria are welcome to contribute to this publication. We anticipate a huge volume of submissions, so a panel has been set up to review all submissions and select the best entries that best articulate the representative opinions of young people in Nigeria. However, all entries will be acknowledged. Only selected entries will be published and author’s short profile will be featured alongside their entries. Please visit www.new-nigeria.com/100thoughts for more information and submission guidelines. Also, opportunities are open for volunteers (Conversation Moderators), this role is open to young leaders who are passionate about Nigeria and believe they can motivate their peers in their circle of influence to make contributions. Volunteers will be required to facilitate the submission of at least ten entries from their circle. In Return, they will receive recognition awards, acknowledgements in the book, priority access to launch events, and selected invitation to dialogue meetings with leaders.